Riviera Trains stock has moved home from the depot to the works. 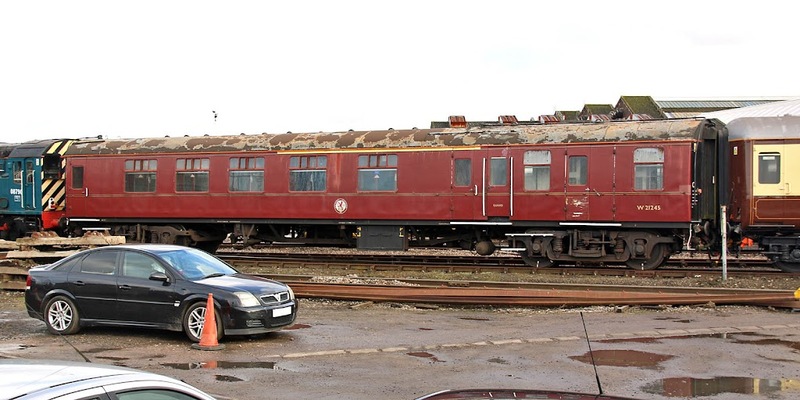 At the same time, two Class 442s have been transferred to the depot. Update: both 21245 and 17096 were moved to Crewe on 31st January, and 21245 was moved onwards to Burton on 1st February. 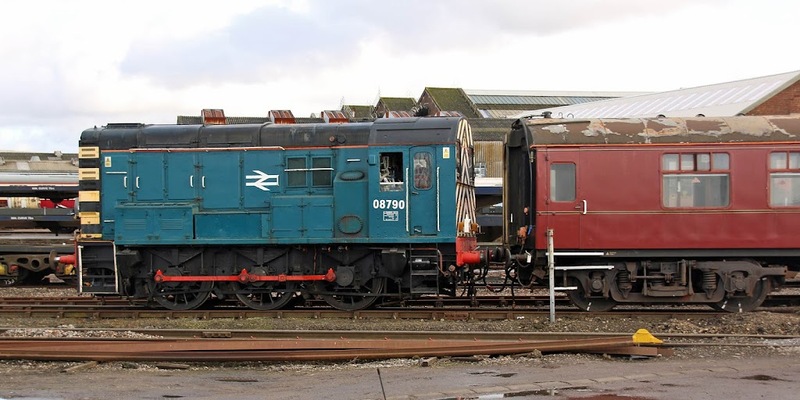 Current resident shunter 08790 moves some Riviera stock. BCK W21245 from Lot 30669, completed at Swindon in March 1962 for the London Midland Region. In service until December 1982, then 99356 with SLOA / Pullman Rail from September 1983 until March 1999 (also 99656 in 1983-84) when it returned to 21245. 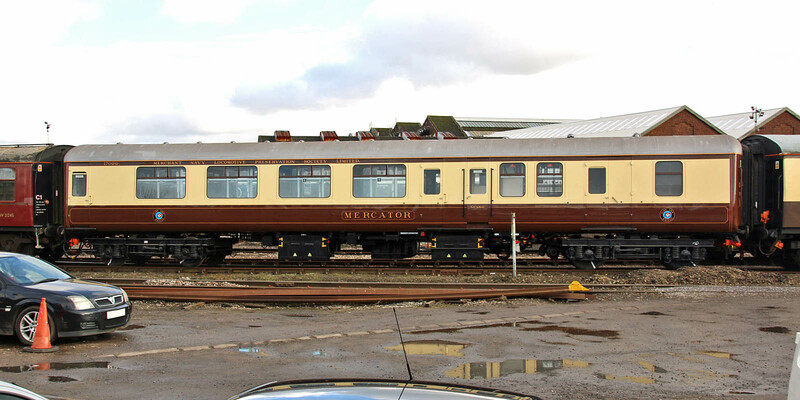 The MNLPS support coach 17096 Mercator, a Mk IIa BFK, which was built at BR Derby in 1968, as 14096 in Lot 30786. Renumbered in April 1983, withdrawn briefly in August-September 1993, then again in May 1997 becoming Mercator from May 2008. 35028 Clan Line is currently under overhaul at Crewe and Mercator has been at Eastleigh for attention since 13th January 2016.